The Ajna Offensive has announced May 14th as the North American street date for Tribulation's new album, "The Formulas of Death." "Expanding their sound entirely beyond the gnarly and vicious death metal that was heard on The Horror, Tribulation's The Formulas Of Death sees a much broader and expansive soundscape introduced, favouring atmosphere and evocative instrumental elements to contribute to a very different picture to that of its predecessor. "Comparisons have been already made between the progression Morbid Angel made between Altars of Madness and Blessed Are the Sick and closer to home for Tribulation, the progression from Tiamat's Sumerian Cry to The Astral Sleep. 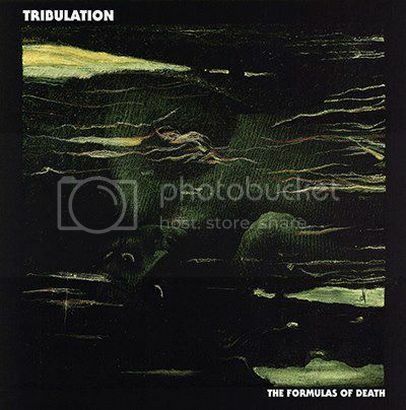 Tribulation's The Formulas Of Death is an ambitious project for these still-young Swedes, which will undoubtedly take time to sink in to be fully appreciated." 0 Comments on "Tribulation Reveals New Album Details"